“High Performance!” – 1983 Yamaha SC600 Guitar – Drowning in Guitars! I have to admit, I have a thing for old Japanese-made Yamaha guitars. In its heyday, Yamaha was making some of the finest guitars in the world. Seriously, they came out swinging year after year with innovations and original ideas and I just dig the quality. These SC600 were only around for a year, which is such a shame because this model (and the SC400) were excellent guitars with enough tonal variations that would make most players happy for a while. I first saw this model in an old coffee table guitar book and I liked it immediately. But what I didn’t realize is that this model was rare and kinda hard to find. The SC600 appeared in the 1983 catalog and featured some (what Yamaha claimed) innovative features such as Alnico-5 pickups with hotter windings, a coil tap switch to halve the output, and a newly designed bridge with a large contact area to transmit vibrations to through the body. These guitars are a Fender scale at 25 1/2″, with a 22 fret neck. Probably the most striking feature of these guitars is the through-neck design. Those cool strips of wood are maple and mahogany, with the “wings” of the body attached (alder with an ash top). This type of build was popular for a while in the early 80s but it never seemed to catch on. 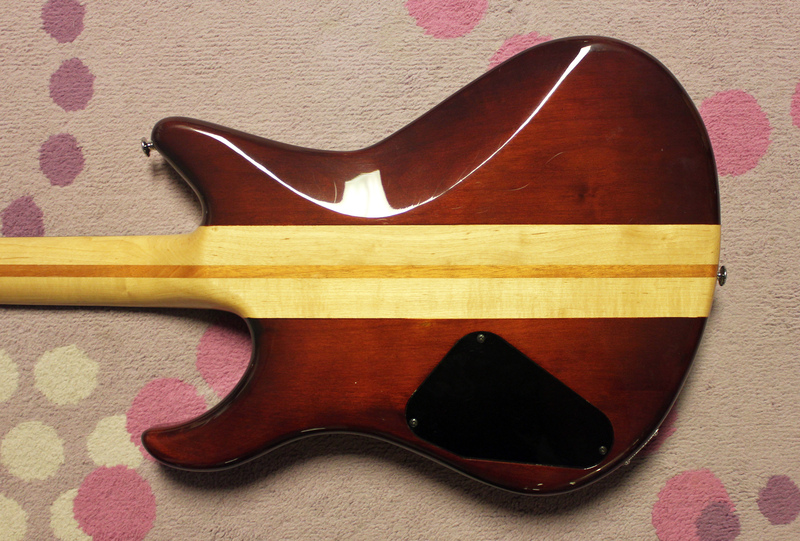 These guitars came in two colors, the oil stain as seen here and a persimmon red. The SC400 was nearly identical to the SC600, except the 400 featured a set-neck design rather than a neck-through and didn’t have a coil tap switch. These guitars have a thin neck profile that was all the rage in the 80s. And the sharpened headstock and offset body was reminiscent of the late 60s Yamaha SG guitars. So cool. 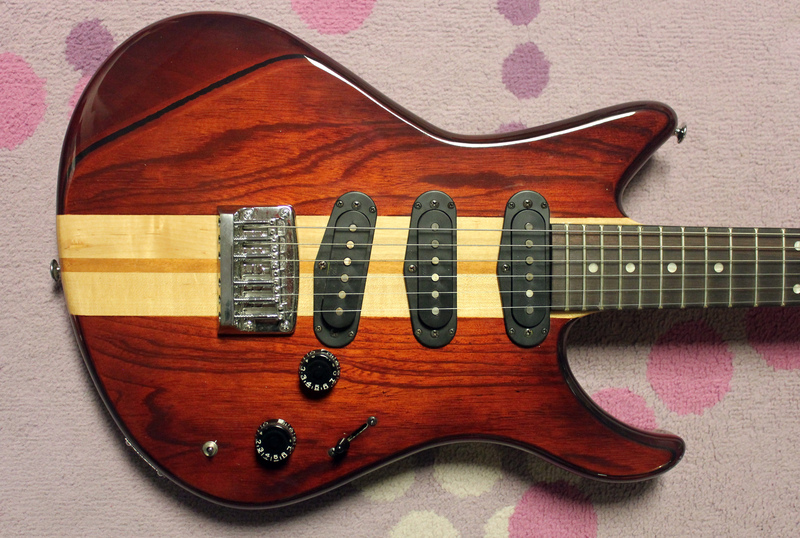 Unfortunately, this model was sort of typical of many excellent Yamaha guitars… it disappeared too quickly. Yamaha has done this with numerous guitar models over the years, but it does add to the collector cache. 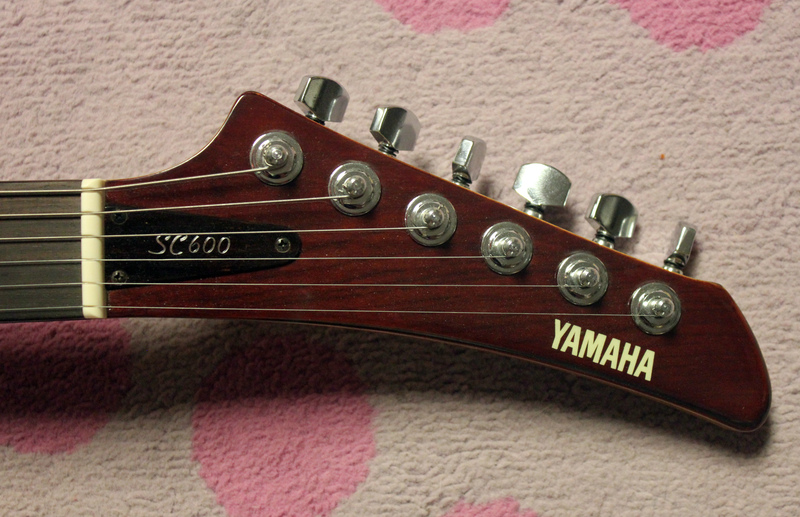 I agree that Yamaha along with Ibanez were building the best solid bodies in the world back then. I have an ‘ 81 Yamaha SBG 500 which I sought out for a couple years and felt very lucky to come across this one. Hi, I have one of these in excellent condition and am looking to sell it. I am the original owner and all parts are original except the mini toggle switch which I just replaced. This was my go to guitar for 20 years. Sadly I need a new PA sooo….